Academia ERP helps automate and manage the entire campus operations in a very effective way. "Highly recommended- Much advanced than others!" Academia is a feature rich & robust product; Efficiency & reliability are certainly Serosoft’s hallmark; Impressed with the energy and dedication of Team Serosoft and find them to be competent, knowledgeable and friendly. One small concern, they took slightly longer to roll out customization. Although overall it came out fine. 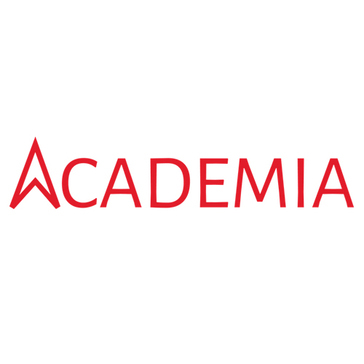 I have no hesitation in recommending Academia in the educational domain to any academic institutions. We are satisfied with Academia. For us, the key factor for success was a component developed by Serosoft which automated the migration of the student data from our legacy system to Academia ERP. They also assisted us in streamlining our examination process; Academia ERP has helped us in managing our fees by providing no. of reports that helped us in tracking the outstanding amounts, collections and many more. What Student Information Systems (SIS) solution do you use? Open-School takes care of all the needs of your school. From boosting enrollment to stepping up grades and managing all day-to-day activities. To make things better, It's can be hosted on campus or on the cloud. * We monitor all Academia ERP reviews to prevent fraudulent reviews and keep review quality high. We do not post reviews by company employees or direct competitors. Validated reviews require the user to submit a screenshot of the product containing their user ID, in order to verify a user is an actual user of the product. Hi there! Are you looking to implement a solution like Academia ERP?